popular due to the higher cruise speed. The Convair set numerous speed records, and the public bought tickets based advertising campaigns illustrating the Convair’s speed. 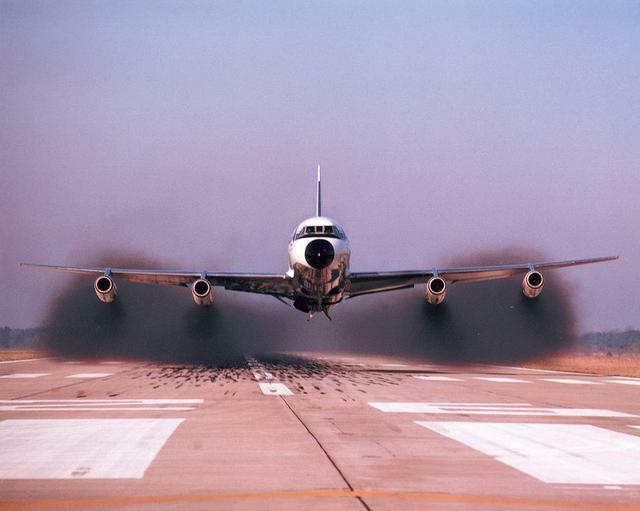 The public’s craving for speed eventually reached Mach 2 with the Concorde, the Tupolev 144, and the Boeing SST. When the oil embargo hit, the Convairs were all withdrawn from passenger service in two years. 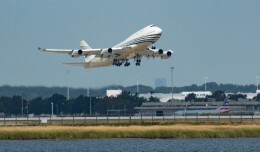 Boeing never revisted the SST, and the Concorde became a niche product and an economic failure. Air carriers began retiring older DC-8’s and 707‘s, and replacing them with DC-8’s, DC-9‘s, 707’s, 727‘s, and 737’s equipped with fuel efficient turbofan engines. Since the oil embargo, fuel efficiency has been a selling point of manufacturers, and aircraft fleets are routinely replaced to take advantage of the ever-increasing efficiency. Designing efficiency into these large high-speed aircraft is a complex task, but often now the primary focus of a project. 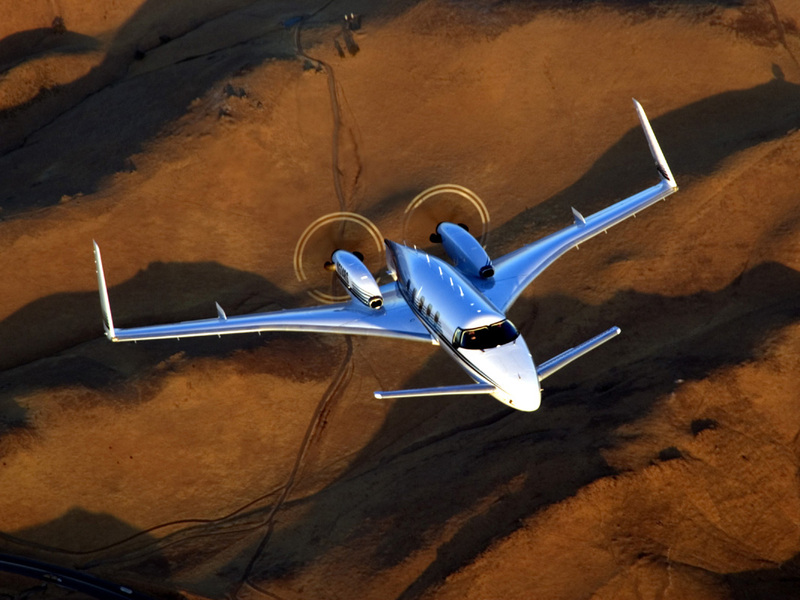 Contrary to the world’s commercial jet fleet, small propeller-driven general aviation aircraft are generally not designed specifically to be fuel-efficient. Typically price, load capability, and speed are the only real design objectives. A small aircraft that is designed specifically for speed has a low drag fuselage and airfoil. There are two kinds of drag that the small aircraft designer must consider, induced and parasitic. Parasitic drag is simple – the faster an object passes through the air, the more resistance there is on it. Induced drag is a by-product of the lift that the wings are generating. When the wings are working hard at slow airspeeds, they develop a large amount of this induced drag. As the speed increases, induced drag drops, but the parasitic drag increases. There is a sweet spot where the total of these two types of drag is at its lowest. At or near this spot, the climb performance, glide range, and endurance (fuel economy) are at their greatest in the small piston powered aircraft. Optimizing this point and minimizing the increase in parasitic drag after it would be the focus of an aeronautical engineer who sought to increase the fuel economy of a small propeller aircraft. 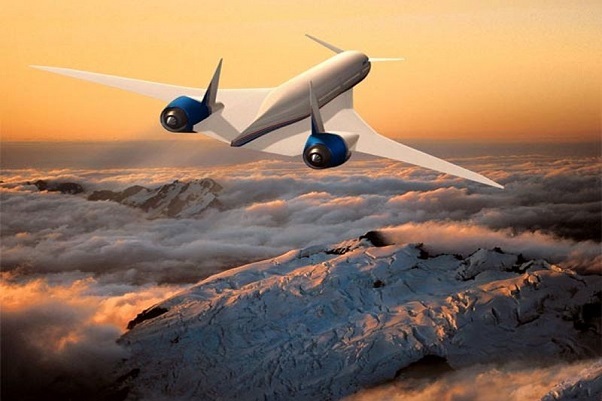 The design of jet-powered transport category aircraft must consider two additional factors in addition to this: engine efficiency and Mach drag. If fuel burn is doubled on a propeller engine, the thrust will also approximately be doubled – a rather linear relationship. The relationship between fuel burn and thrust on a turbojet engine is exceedingly exponential. At high power settings, an increase in fuel results in a relatively equal increase in thrust. At lower power settings, the same increase in fuel may only result in a quarter of the thrust increase that it did at the higher power settings. The turbojet engine efficiency is highest at high power settings, high RPM, high altitude, and high speed. Turbojet and early low bypass turbofan engines perform best near the tropopause while running near 100% rated RPM and at speeds approaching Mach 1.0. The modern high-bypass turbofan engine is most efficient around speeds of .70 Mach, and is not as sensitive to less than optimum conditions than the turbojet. As such, this is one of the main reasons cruise speeds have dropped from a range of .82-84 to .73-80 Mach from decades past. These engines also give pilots and dispatchers the option of cruising at lower flight levels without the heavy penalty in terms of fuel burn as the old turbojet engines. The other factor a transport aircraft designer must consider is the effect of Mach drag, which isn’t a factor until aircraft speed exceeds .60 Mach. 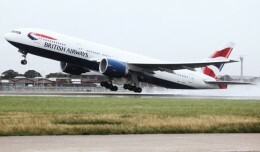 High-speed aircraft prefer surfaces that are generally pointy and swept. Mach drag is also reduced when large volume areas, like the fuselage, do not remain constant in size. When you look at aircraft such as the F/A-18 and the MiG-29, you can see the undulating fuselage that wasn’t present on designs from decades prior. Transport category aircraft are designed with long aluminum tubes that are uniform in diameter. The simplicity and cost have dictated this design, even though there is a Mach drag penalty. To reduce this, large wing root fairings, engines, and tail feathers are placed strategically to negate the drawbacks of the simple tube. One of the great advantages of the composite fuselage is that it can be constructed in atypical shapes with a lower cost impact than if it were to be done with conventional aluminum construction. If the cost increase can be minimized, the 787 and the Airbus A350XWB might be the first and last composite airliners with a uniform diameter fuselage. diameter of the original Pratt & Whitney JT-8 engines were adequately placed on the original design. When the large diameter CFM engines were introduced on the 737-300, the placement tight up under the wing was less than ideal. The alternative would have been a major redesign of the aircraft with longer gear legs. speeds more typical of the small business jet. 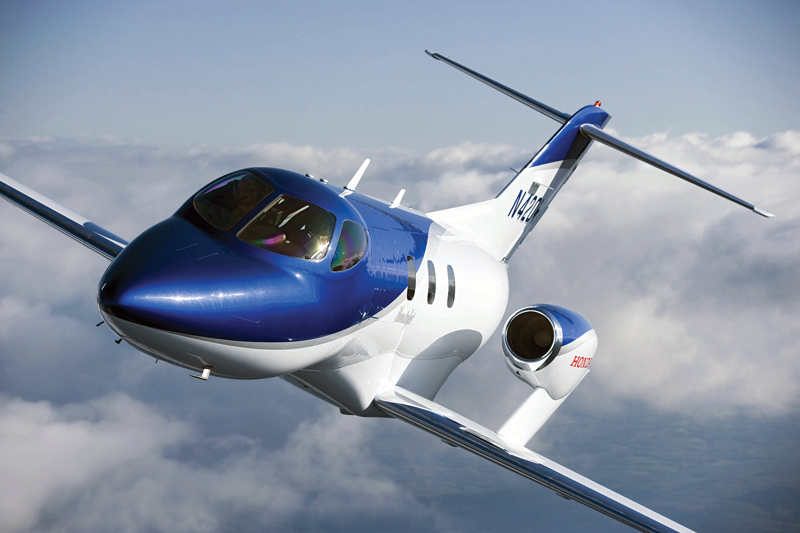 The HondaJet uses this design, and claims to have overcome the high-speed penalties normally associated with it. But perhaps the biggest change we may see is the very traditional design of the elevators and stabilizer at the tail of the aircraft. 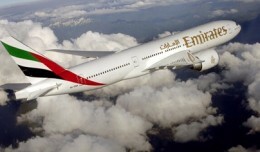 Aircraft with this traditional design have the majority of the aircraft’s weight in front of the wing. The tail provides a downforce to hold this weight up. The tail, in effect, is fighting the wing. This creates drag but it also creates stability. 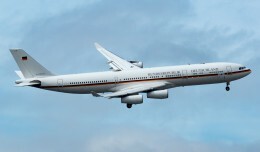 Many modern designs have reduced this stability in order to increase efficiency and in some cases employing flight computers to overcome the loss. Burt Rutan, with his VariViggen, simply turned the aircraft around. With the stabilizer and elevator up front (called a canard), the stability was mostly retained with a big increase in efficiency as the canard and the wing both providing lift. Boeing incorporated many of these ideas in the Sonic Cruiser design that was introduced ten years ago. This design also was intended to cruise just below Mach 1.0. 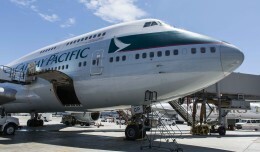 Boeing dropped the idea, but recently resuscitated it with several changes. The current goal is likely for optimizing fuel efficiency, and not cruising at speeds near the speed of sound. The basic design of the jet airliner has remained unchanged for the last 50 years. During this time there have been many proposed changes; the major ones discarded, and the smaller ones having been mostly incorporated. Considering the current computing power and material engineering abilities, the desire to improve efficiency will guarantee the next 50 years of aircraft design will be anything but. Nanospire’s sonofusion devices, Defkalion’s nickel-hydrogen cells and a dozen others, fuel efficiency won’t matter since there won’t be any 🙂 . It will be interesting to see how aircraft designs change when they don’t have to carry fuel anymore, and they’ll have infinite endurance.